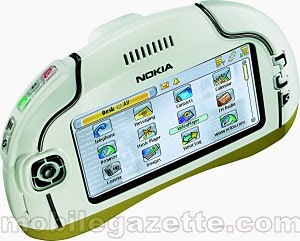 Retromobe - retro mobile phones and other gadgets: Nokia's First Touchscreen Phones? This week sees the anticipated launch of the Nokia 5800, widely dubbed "Nokia's first touchscreen phone". In fact, Nokia have tried to make this breakthrough now for several years.. and perhaps if they had stuck with some of their earlier plans, then they might not be so late to market. Announced almost five years ago, the Nokia 7700 had a 3.5" 640 x 320 pixel touch-sensitive display that required a stylus to operate, and it ran the Symbian S90 operating system. It was a very large device at 134 x 80 x 22mm and 183 grams, and only a tiny handful ever made it into production as technology samples. Despite the odd design, the 7700 still looks fresh today.. but perhaps it was all a bit too much for 2003. It wasn't just the size - the Nokia 7700 suffered from a lack of memory, and a number of other limitations that meant it could never really be the multimedia monster it was supposed to be. 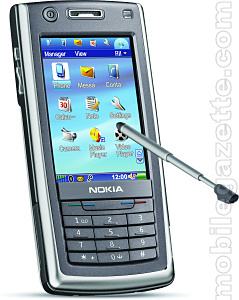 The 7700 was repackaged in a more compact case and had a number of improvements to become the Nokia 7710 in 2004. Retaining the Symbian S90 operating system and large screen, the 7710 actually made it to retailers.. where it was profoundly unsuccessful. In modern terms, the 7710 is lacking when it comes to specifications. It doesn't have 3G or WiFi, and the user interface looks dated compared to the iPhone. In the end, Nokia abandoned the entire Symbian S90 platform, which perhaps in retrospect was a mistake. Perhaps a device that Nokia would sooner forget, the Nokia 6708 was a Symbian touchscreen phone aimed at the Chinese market, launched in 2005. The 6708 was another dead-end though, mostly because it wasn't a Nokia at all.. it was basically a slightly tweaked version of the BenQ P31 which had been announced a year earlier. Worse still, although it was a Symbian device, the 6708 ran the UIQ interface (used by everyone except Nokia) which just showed how far behind Nokia were when it came to stylus-based handsets. Nokia never renewed its partnership with BenQ, and as far as we can tell, the Nokia 6708 is the only UIQ-based Nokia, and recent changes in the way the Symbian OS is offered means that there will never be another one. 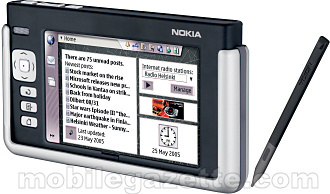 Nokia took a surprising change of direction in 2005 with the Nokia 770 Internet Tablet. It wasn't actually a phone at all, but it did feature WiFi and could be paired easily with just about any Bluetooth mobile phone on the market. Unlike other Nokia efforts, the 770 featured a version of the Linux operating system which attracted a number of developers. Although never a huge success, the 770 did spawn several successor devices including the N800 and N810 with more on the way.. and it is quite possible that Nokia will use this platform for a future smartphone. 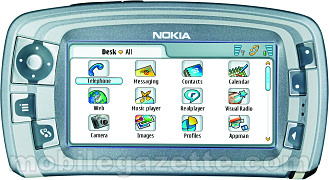 So when all the other press outlets enthuse about the Nokia's first touchscreen phone, perhaps it is worth remembering that Nokia have tried this several times before..